Baba Mino no Kami Nobufusa - Handsome portrait of Baba Mino no Kami Nobufusa, one of Takeda Shingen's most trusted generals. 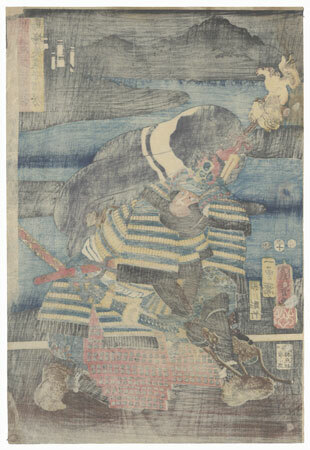 This sixteenth century warrior fought at most of Shingen's battles, including Kawanakajima. He kneels down, leaning forward to tie his sandal as he looks back over his shoulder with a frown. He wears a fine suit of armor and an impressive battle helmet topped with a figure of the fierce Buddhist deity Fudo Myoo. 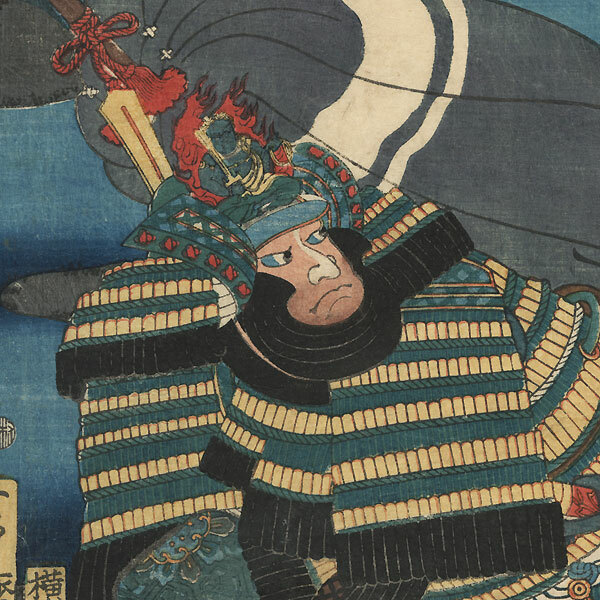 The billowing cloak over his back identifies him as an important warrior, and his sashimono or personal standard features a golden lion. A river winds behind him with troops assembled on the far shore in silhouette. 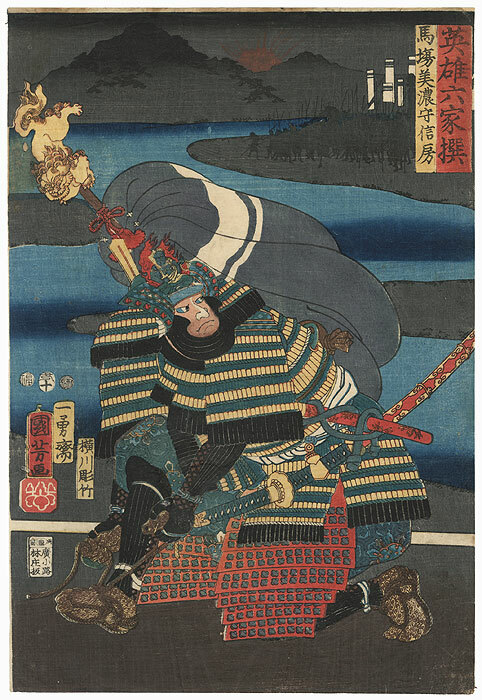 A beautifully detailed image of this great samurai, with an atmospheric night setting. Condition - This print with excellent color and detail as shown. Stitching holes at side, small wormhole, repaired. Slight toning, a few light creases. Please see photos for details. Good overall.